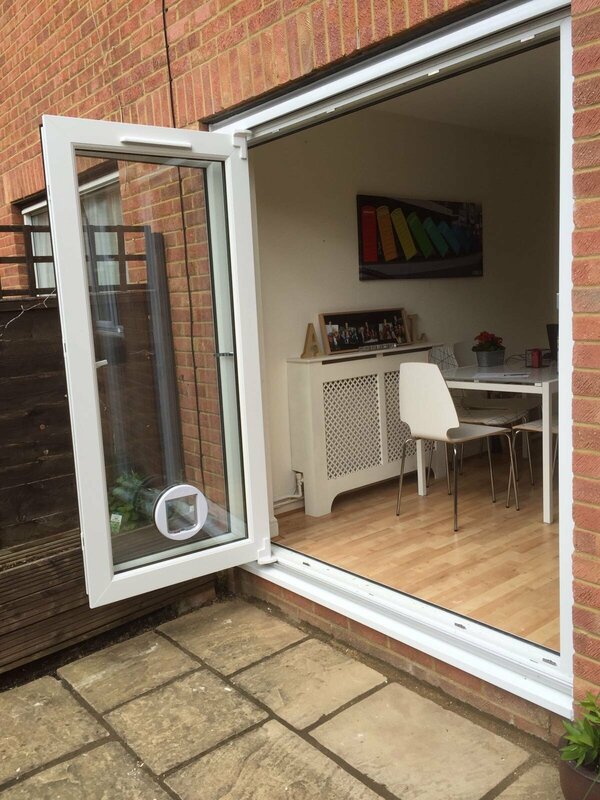 Our UPVC bifold doors offer excellent value for money and can fill a big space. 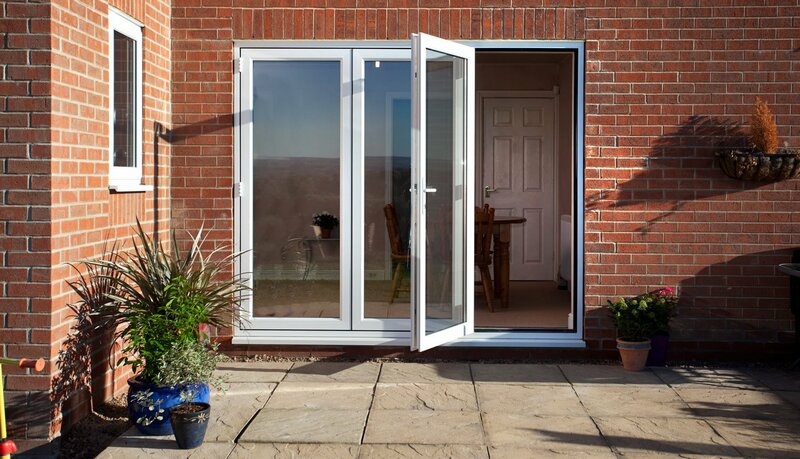 UPVC bifold doors are available in any scheme between 2 and 7 panes and width between 1200mm and 5950mm! We also offer Aluminium Bifold Doors as an alternative. Prices starting from only £1194.00 All our prices include VAT Delivery is FREE! 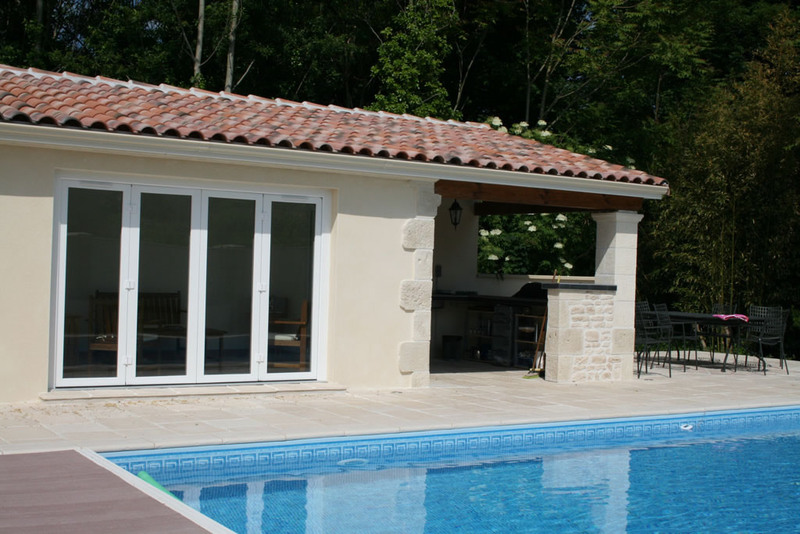 Why choose our Bi-fold Doors UK? 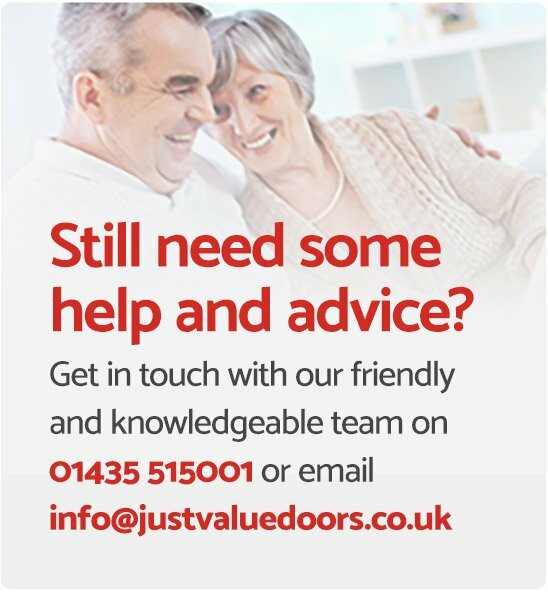 At Just Value Doors we understand the importance of 'quality'. When you buy a bi-fold door from us, that's exactly what you get. Purchasing an external bi-fold door is a large investment and one you want to get right first time. For a bi-fold door UK to last and operate well it needs to be built using high quality materials: it should have superior glazing, be fabricated correctly and fitted by installers with experience in folding sliding doors. As with any type of concertina door it's important to remember that further adjustment is often required after installation. Moving parts such as hinges, rollers and locks - and even the glass itself –need time to "settle" into place after being opened and closed a number of times. As you may have already found out, bi-fold door costs vary considerably depending on where you look - it can be shocking how prices differ. As with any company selling cheap bi fold doors you should be wary of quality so do your research. Our company reviews speak for themselves. We truly offer "Value" without compromise. When choosing bi-folding patio doors the most important thing (apart from the company supplying it of course) is to measure the width carefully. The cost of a bi-fold door is determined by two main things: the overall size (dimensions) and the number of bi-folding glass door panes. Where budget is tight, it is possible to minimise cost without changing overall dimensions. For example a width of 3000mm can use 3, 4 or 5 panel bi-fold doors. The more doors, the higher the cost so the cheapest option is a 3 door configuration. Integrated bi-fold door blinds offer all the benefits of a blind but without the need for cleaning or dusting. The blinds for bi-fold doors will always remain looking like new: they are factory-fitted and sealed in-between the glass units giving an airtight vacuum. Blinds for UK bi-fold doors offer raising, lowering and tilting options that are operated by the use of magnets. Raising and lowering is controlled by a continuous cord loop that drives the external magnet you move up and down on the edge of the glass pane. Enquire for details. Don't have an opening yet or want to convert a window? Planning to build an opening for your folding doors? Want to convert an existing window? We can help. We can work with your builder to advise on brickwork removal and installation of bi-fold patio doors after carrying out a home survey visit (£78). Please be aware we don't remove brickwork as part of our door fitting service but will advise "your builder" on the removal prior to installation. With uPVC bi folding doors often covering large areas it's important to keep heat loss to an absolute minimum. 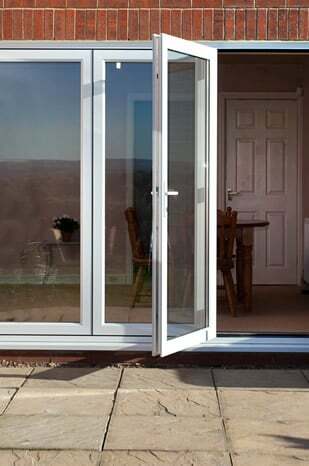 We use thermally-efficient uPVC frames with our folding patio doors as standard. The frames have separate chambers running inside to work as cavities reducing heat loss. We also use double glazed and toughened glass as standard, whilst still keeping the folding glass patio door cost as low as possible. 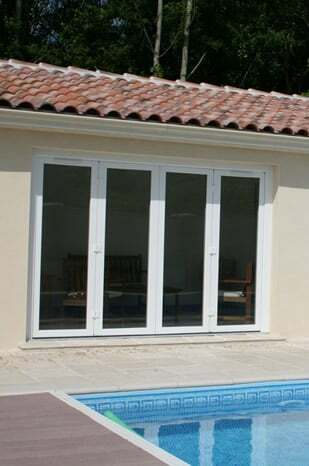 Our folding track doors can also be further upgraded to reduce heat loss by up-rating the glass make-up. Despite slightly increase folding patio door costs, the long term performance savings are worthwhile. Find out more about the thermal upgrade. How will my folding door kit arrive? This will only apply if you have ordered a "supply only" plastic folding door. 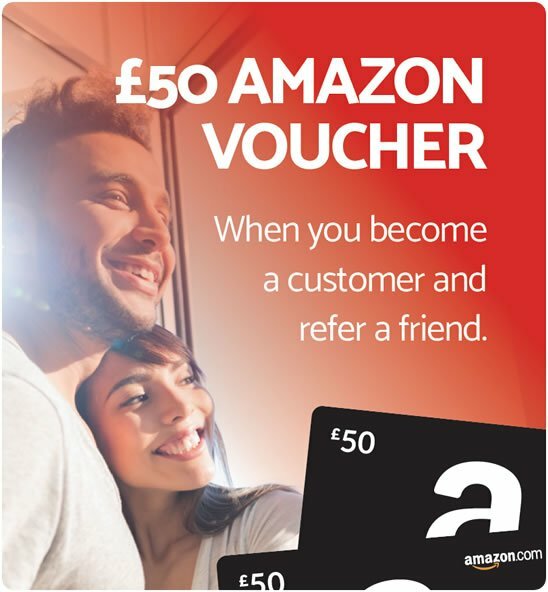 With our fitting service it will arrive with our installers. 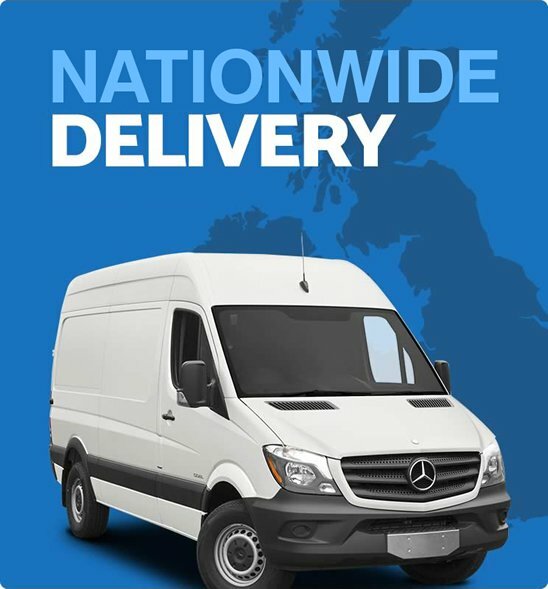 When our lorry arrives to deliver your sliding folding doors the outer-frame, door sashes and door glazing or glass units will be separate for installation and transportation reasons. There will also be a box containing parts including: cover caps, running wheels and handles. There should also be a suitably able person available to assist the driver in lifting. If DIY sounds daunting, let us survey and install your concertina door for you. We are a bi-folding door company specialising in these types of folding sliding doors and guarantee our workmanship. Security is paramount on any door and this obviously includes our external folding doors. Our uPVC bi-fold doors come fitted with a highly sophisticated locking system. Once the doors fold closed, and are locked, the door sashes are secured in multiple points. With our bi-fold door systems, each and every door (ranging the whole length), is secured in two points at the top and bottom and three on each sides as well as being locked together. We feel our bi fold doors are as secure as they can possibly be. 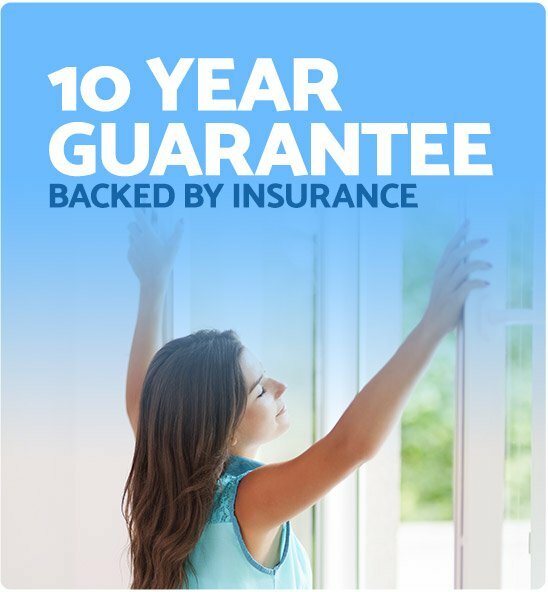 We use toughened safety glass as standard, only use the highest quality locks and hardware available and provide a 10-year guarantee. How do exterior bi fold doors operate? Folding glass doors, also known as 'tri fold doors' operate in a completely unique way. By 'sliding' and 'folding' together simultaneously, the bi-folding doors smoothly glide open and will sit flat at the sides. 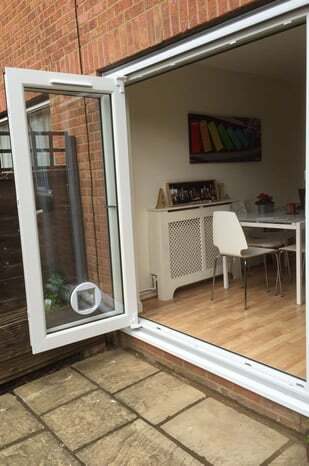 Alternatively one door – the traffic door - can open to give access to your home and this is called. Our bi-folding doors are available in a vast range of 17 colours. If you would like to see a colour sample please get in touch and we'll pop one in the post to you. If you have any questions regarding our upvc bi-fold doors please don't hesitate to contact one of our friendly team who will be happy to assist you.